First aid skills for Policing is an area Lazarus Training specialises in. With years of experience in this area we understand the demands on Policing to provide care at the scene for casualties with multi-system trauma. Ranging from short sessions covering Emergency Life Skills to extended training for AFO medics or officers deploying overseas, our First Aid Skills for Policing portfolio means that we have a course for your organisations’ needs. All courses in our range of First Aid Skills for Policing reflect current trauma training principles, but focus on the practical application of real life skills. Our packages are enhanced to reflect each client groups specific requirements and equipment, using tourniquets, haemostatic agents and further equipment where appropriate. We pride ourselves on ensure that we #trainforreal on all our first aid training courses, but nowhere is this more true than in our range of courses aimed at meeting training needs within the First Aid Skills for Policing sector. 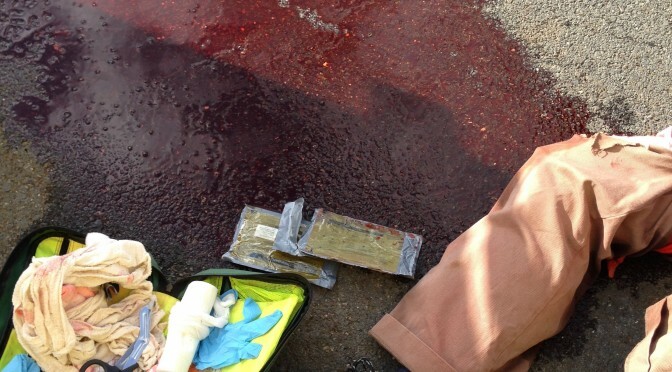 What’s the First Aid Skills for Policing first aid training like? Call 0800 242 5210 to discuss your needs. 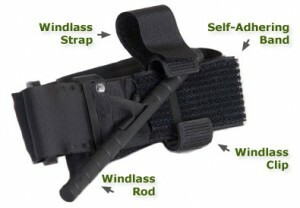 CAT tourniquet as used by Lazarus Training for police first aid training.